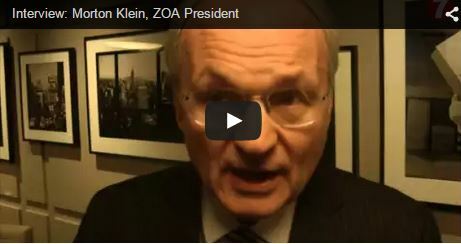 Arutz Sheva got the chance to speak with Morton Klein, President of the Zionist Organization of America (ZOA), who argued US President Barack Obama’s State of the Union address on Tuesday was riddled with hypocritical flaws. Klein said he was “deeply disappointed, even frightened” that Obama claimed he had stopped Iran’s progress for nuclear weapons, when in reality Iran is allowed to keep its 19,000 centrifuges and develop more advanced centrifuges. 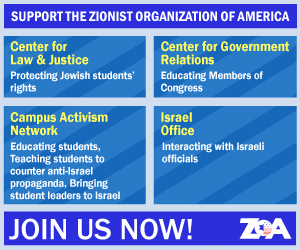 Klein noted that during Hamas’s recent terror war against Israel, Obama also sent the terrorist organization a full $47 million, giving the group that has genocidal aims to murder all Jews the funding ostensibly to help Gaza residents. The Islamic regime also has been allowed to keep its uranium, and the US has failed to act on Iran’s Intercontinental Ballistic Missiles (ICMBs) used to deliver a nuclear payload, or to secure monitoring in the key Parchin nuclear facility, enumerated Klein. Speaking about PA chairman Mahmoud Abbas, Klein stated that the difference between him and his predecessor Yasser Arafat is that Abbas “wears a tie. He founded the terrorist group Fatah with Arafat.” He noted that even Abbas’s emblem signifies his desire to control all of Israel. Klein added that two months ago, Abbas reportedly told Obama that even if he was given an agreement promising him all of Judea, Samaria and eastern Jerusalem over the 1949 Armistice lines, he still would not agree to forego making future claims for more land. Speaking about possible solutions, Klein said “there needs to be a reformation of Islam,” and called for the US to stop funding the PA.
“I am not optimistic that peace can be made with a terrorist regime, they need to change, it’s in their ballpark,” he concluded. This article was originally published by Arutz Sheva and may be found here.